Finally! 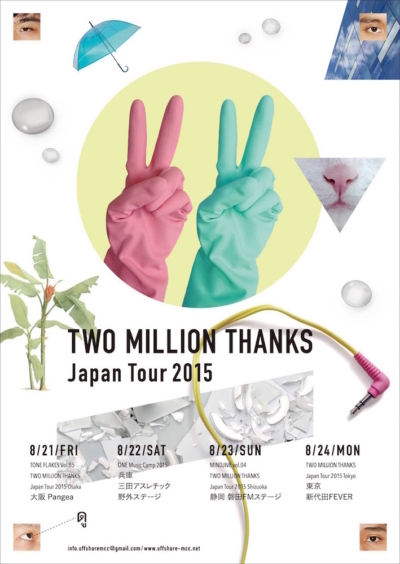 Offshore is pleased to announce TWO MILLION THANKS’s first Japan Tour in this summer. TWO MILLION THANKS is based in Bangkok Thailand. Their music is kind of math-rock or post-rock people says. Don’t miss their first Japan gigs. Here is further details.